D.A Approved - Prime Investment Opportunity. 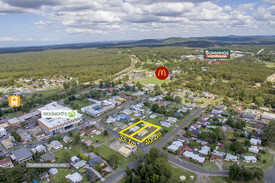 'Bonnells Bay' one of Lake Macquarie's fastest and most rapidly emerging lakeside suburb's. Ray White is pleased to offer a unique site 'Victoria Street Development', set amongst upmarket waterfront properties, with the potential to capture sparkling lake views from the second storey. - 3.5km away from 'Trinity Point'. Opportunities are endless; The site's flexibility holds a vast range of concepts/designs. Ideally suited for ground level commercial shopfronts, the upper level will command exceptional 180 panoramic water views. 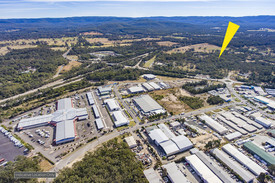 8 Victoria Street aligns with Lake Macquarie's latest major development 'Trinity Point', transforming Lake Macquarie into an international location. The forthcoming amenities include; Marina, 5 star Pullman hotel, business centre and restaurant only 3.5kms away. This concept provides an opportunity for Doctors, accountants, solicitors, tradespeople, cafes or bistro owners to make use of the commercial space to grow their business in one of Lake Macquarie's prime lakeside locations. Your investment is highly upheld in this rapid growth area. *Please contact our agency for DA approved plans, landscaping plans and any additional information.